Adorable creatures and lightsaber duels aside, the Star Wars franchise has always revolved primarily around the the internal struggle between good and evil. Ever since Star Wars Episode IV: A New Hope first introduced the idea that anyone could potentially turn to “The Dark Side,” this temptation to do evil has become a mainstay of the series and pop culture at large. However, the sad irony of this is that the very Star Wars fans who cheer on the heroes of the films may have now succumbed to the dark side too without even realizing it. 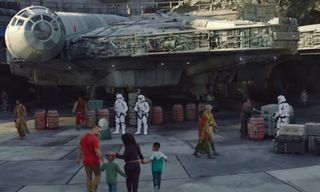 Recent efforts to finally introduce diversity to a galaxy far, far away have been welcomed for the most part, yet an increasingly vocal minority of Star Wars fans have tarnished the inclusivity of films like Rogue One and The Last Jedi by directly attacking the people involved online. 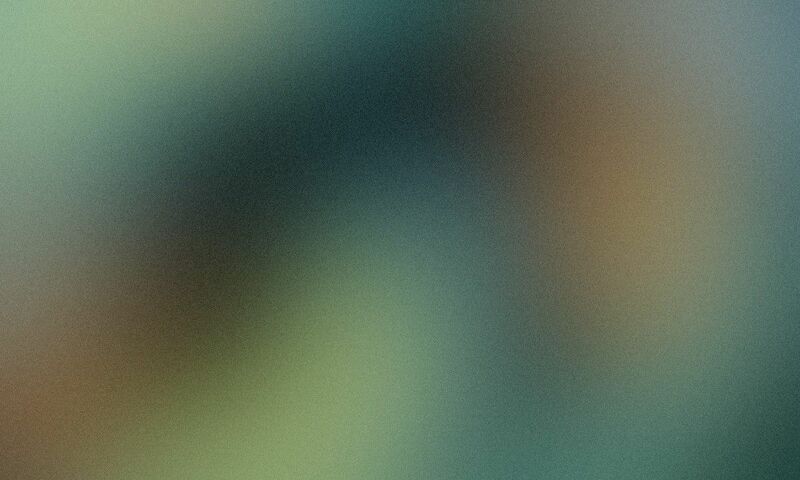 In the last few weeks, Last Jedi star, Kelly Marie Tran – who portrayed Rose Tico – deleted all of the images from her Instagram account after suffering months of sexist and racial abuse. The Star Wars franchise certainly isn’t alone in having an opinionated and rabid fanbase. 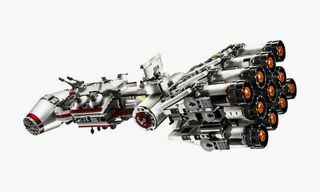 But unlike another red hot property – all things Marvel-related – these objections rely more on prejudice and ignorance as opposed to story choices and elements of the filmmaking process. Unfortunately, Tran isn’t the only one to endure the wrath of Star Wars fans at their most savage. 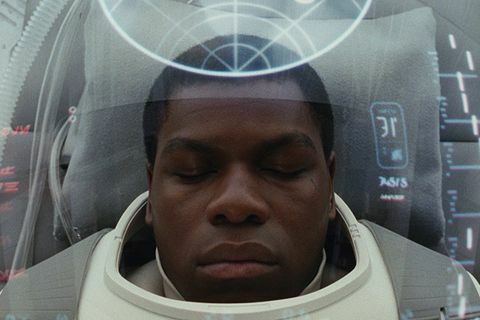 The Force Awakens actor, John Boyega, has also been the target of race-fueled trolling, co-star Daisy Ridley left Instagram in 2016 for the sake of her mental health, and The Last Jedi director, Rian Johnson, has spent the better part of six months dealing with “fans” who believe he helped destroy their beloved franchise. The toxicity of certain Star Wars’ fans might have intensified thanks to the power of social media, but the force has always been strong in this regard. Remember when child star, Jake Lloyd, quit Hollywood altogether after people mocked his role in The Phantom Menace? 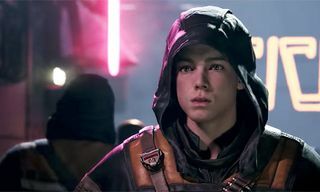 Hayden Christensen claims that negative feedback for his part in the prequels wasn’t the reason why he moved away from acting, but Star Wars must have surely had at least some impact on this decision. 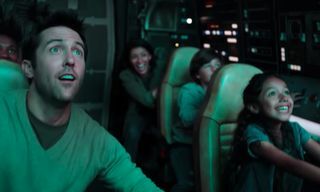 What’s perhaps most disheartening of all is how George Lucas was driven away from the very franchise that he created after negative fans balked at his attempts to make the series more family-friendly for a whole new generation. It’s also no wonder then that Solo star Alden Ehrenreich has steered away from social media for the most part. Star Wars isn’t the only franchise that’s attracted its share of toxicity in recent years. Actor Leslie Jones became the victim of online abuse too following her role in the female-led reboot of Ghostbusters, the creators of Rick and Morty publicly denounced fans who criticized the show’s female writers simply because of their gender, and most recently, Stranger Thing’s Millie Bobby Brown left Twitter after becoming a homophobic meme. Ongoing friction between the opposing fan bases of Marvel and DC films has also shone a spotlight on the darker side of nerdy obsessions, although this conflict hasn’t yet escalated to where we are now with certain elements of Star Wars fandom. It’s important to note that the vast majority of Star Wars fans shouldn’t be associated with their toxic counterparts, yet, as is often the case, it’s this vocal minority that draws the most media attention. 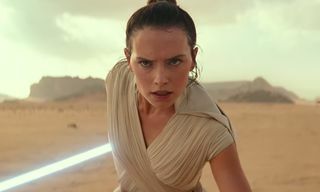 As far-right politics continue to gain traction in Trump’s America, the inclusion of women and people of color in the Star Wars franchise is seen by some white male fans as a direct affront that personally attacks their own outlook on the world. To them, the diversity of new cast members is nothing more than an “agenda” set out by Social Justice Warriors who are more interested in hitting their diversity quota than making good films. 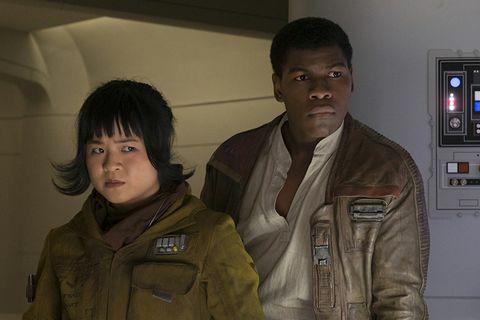 Despite the fact that science fiction has long extolled the virtues of diversity and tolerance, the toxic faction of the Star Wars fandom feels that by including actors like Tran and Boyega in the roles previously filled by white men, their ownership over the franchise is being challenged. Once the center of this galaxy far, far away, white men are now forced to share the spotlight with people from other backgrounds, something which jars those who are seeing their “superiority” challenged in the politics of real life too. Star Wars is no longer the safe retreat that it once was for these entitled and intolerant fans, something which often drives them to vent their frustrations online in the cruelest ways possible. 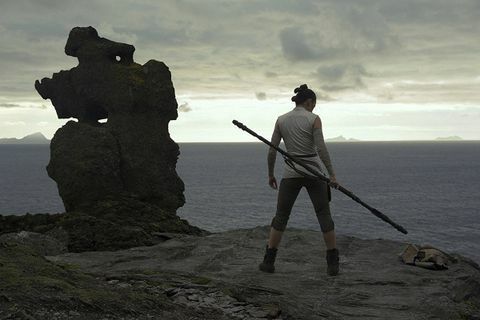 With such a detestable yet loud reaction, one would be forgiven for assuming that diversity now reigns supreme in the Star Wars universe, yet the truth is that even the most female-centric installment yet only featured women for 43% of its running time. Is it a coincidence then that this particular film, The Last Jedi, also provoked the strongest reaction yet from resentful audiences? Although the gender divide remains unequal on screen and people of color clearly still don’t outnumber their fellow white cast members, these so called Star Wars fans are still outraged just by the mere inclusion of people who are different from them. 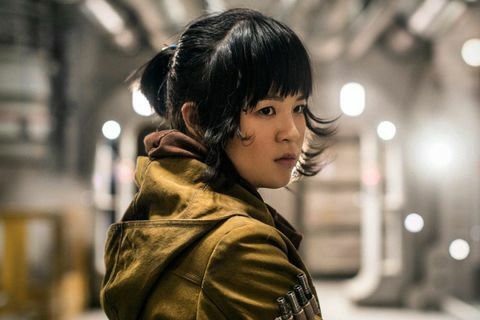 Both director Rian Johnson and co-star Mark Hamill were quick to call out the people who helped drive Tran off social media and others soon joined in too by creating the #FanArtForRose hashtag. Through this positive step, true Star Wars fans openly supported Tran’s inclusion in the franchise while reminding the rest of the world that fandom can be a beautiful thing too, drowning out the ugly and hateful minority with a message of love and tolerance. The toxicity that certain Star Wars fans have brought to the media’s attention in recent years has threatened to overshadow the positive aspects of fandom, so it’s vital to reiterate here that a geeky love of Star Wars and other franchises can also be a wonderful thing. By uniting with others who share the same kind of passions, belonging to something like the Star Wars fandom can help people feel less alone, united through a shared experience that can nurture both ambition and creativity all at once. 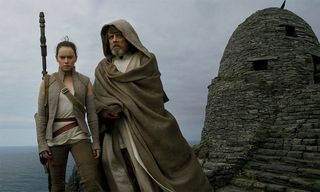 While passion unchecked can lead some to overprotect the things that they love, the vast majority of audiences recognize the true message of Star Wars is one of acceptance and treat their fellow fans accordingly. Even the most casual of fans recognize that threatening and harassing others is the antithesis of Jedi lore. However, the saddest part of the toxicity debate is that the people causing the problem don’t even recognize their actions for what they truly are – believing instead that they’re protecting their favorite movies from new filmmakers who have set out to ruin their childhood. Rather than emulate the likes of Han Solo and Luke Skywalker, the malicious component of the Star Wars fandom instead shares far more in common with The Empire and the fascist dictatorship that it represents onscreen. Originally modeled on the Nazi regime, the true face of evil in Star Wars is now reminiscent too of political discourse in modern-day America, so it’s no coincidence that this toxic subset of fans feel more empowered than ever to act on their prejudice. All hope is not lost though. Sure, it can be disheartening to hear of people who twist the message of Star Wars to their own spiteful ends, but they’re still the minority. In reality, most Star Wars fans remain supportive of both each other and those who help bring these stories to life. Even people who dislike various aspects of the franchise rarely give into the kind of anger and hate that characterizes the dark side that these toxic naysayers have embraced wholeheartedly. While there’s no easy answer to dealing with this small-minded segment of the fandom, the rest of us would do well to remember the powerful lesson that Tran’s character embodied at the end of The Last Jedi. Instead of fighting what we hate, the best way to win is by “saving what we love.” Nothing captures the Rebel spirit more than celebrating the things that matter to us most and treating others with respect. As long as we keep doing that, the Dark Side of the Star Wars fandom will forever be kept at bay. For more movie coverage, read about the horror film that is making everyone lose their minds.